St. Luke’s seeks to build God’s Kingdom by helping believers to develop a covenant relationship with God – Father, Son and Holy Spirit – that will enrich our daily lives and equip us for service to others. The faith of Anglicans is founded on the Scriptures and Christian tradition. The Eucharist is central to Anglican worship. Anglicanism encourages a vibrant Christian living relationship with the Father, Jesus Christ and the Holy Spirit through prayer and worship and Christian ministry. Worship began in 1906 in the Norwood School Hall. 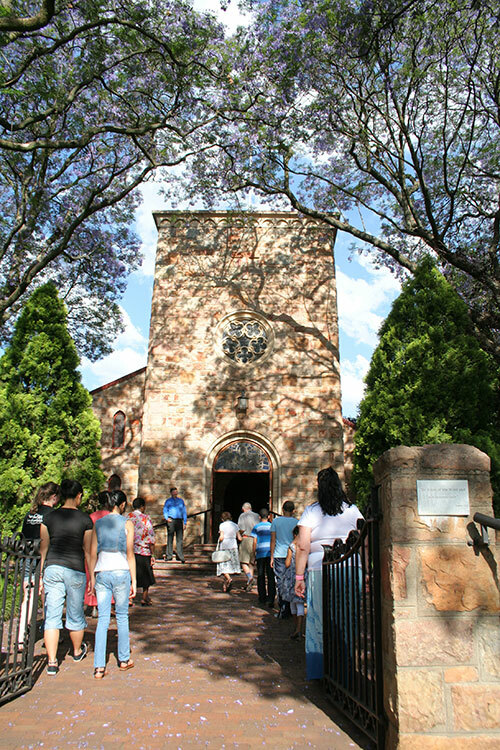 St Luke’s Church, designed by architect Sir Herbert Baker, completed in 1907. The church was extended in the 1920’s to accommodate the organ. One of the parishioners made the pews in 1946. The Hall was built in 1951. The tower, gallery and vestries were added in 1956.
and in 2007 the Lighthouse Hall was developed to accommodate our youth and provide additional space for our many activities.